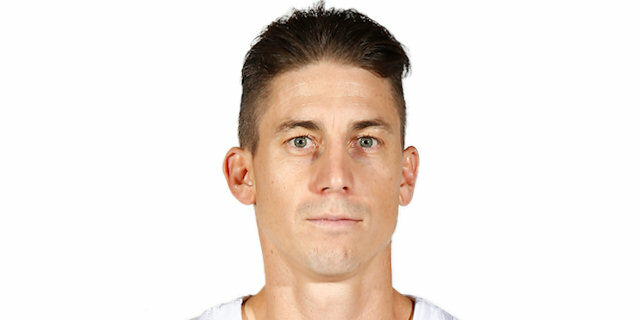 CSKA Moscow scored 32 points in the fourth quarter to pull away for an 87-96 victory over defensing Turkish Airlines Euroleague champion Real Madrid on Wednesday night at Barclaycard Center in the Spanish capital. The victory was CSKA’s fifth in a row and ensured it at least a share of first place in Group F by the end of the week with a 7-2 record, while Madrid slipped to 5-4 and will be tied for third place. Kyle Hines led the way with 16 points in 7-of-9 shooting. Milos Teodosic added 15 points, Vitaly Fridzon scored 13, Nando De Colo recorded 12 points and 8 assists and Cory Higgins netted 10. 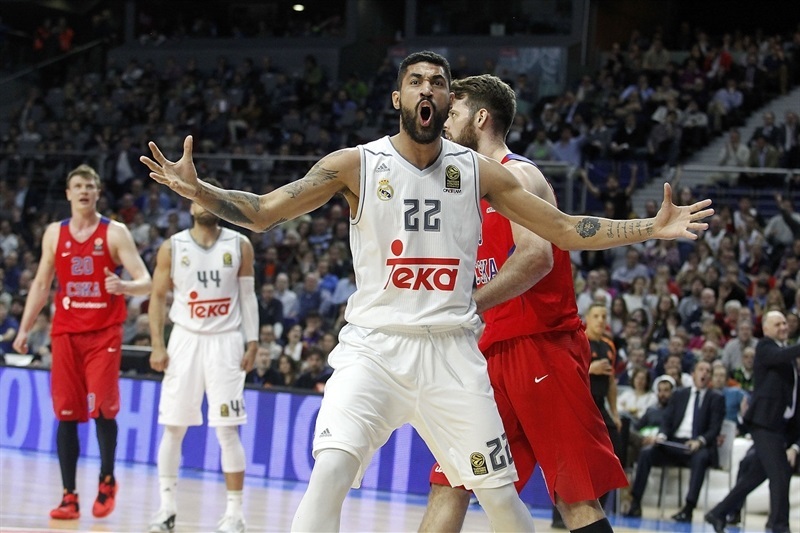 Gustavo Ayon led Madrid with 20 points, 12 rebounds and 3 steals, Sergio Rodriguez scored 15, Sergio Llull tallied 14 points and 10 assists and Felipe Reyes added 13 points. CSKA went into the fourth up 2 points, but a back-to-back-to-back three-pointers by Fridzon, De Colo and Higgins created a 12-point margin. 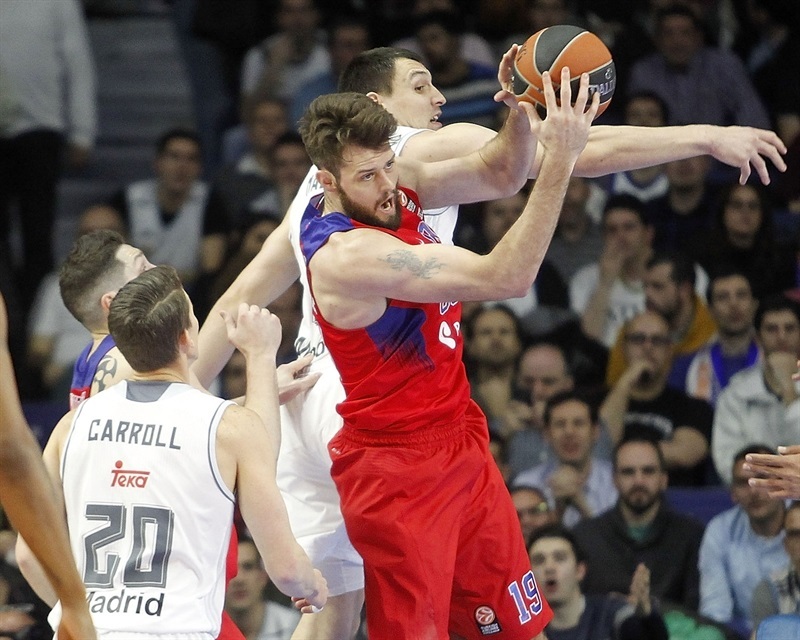 Madrid rallied to within 5 in the final minute, but CSKA held on. After a quiet first minute, Nikita Kurbanov’s pull-up jumper and Llull’s free throws opened the scoring. Ayon scored off an inbounds play for Madrid’s first lead, but Joel Freeland’s put-back followed by a layup made it 4-6. Llull found Ayon for a big slam. Andrey Vorontsevich drilled a triple, but Ayon’s jump hook and a Reyes free throw evened the score at 9-9 midway through the quarter. Vorontsevich buried another long jumper to put the visitors ahead. Rodriguez came off the bench and soon let a fast break, which Reyes finished with a layup. Reyes again split free throws, after which Kurbanov made 2 of his own. Llull split free throws with two minutes left in the quarter to tie the game at 13-13. 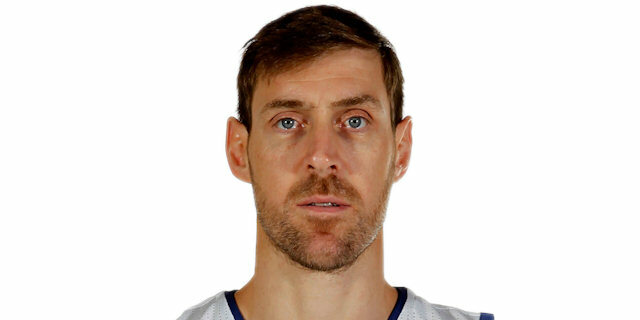 Teodosic’s crosscourt pass left Higgins open for a three, but Andres Nocioni’s finger roll and a deep three by Rodriguez gave Madrid the lead. However Victor Khryapa’s tip-in after Teodosic’s nifty drive in the final seconds of the quarter made it 18-18. Teodosic fed Hines for a slam and Khryapa then did the same. 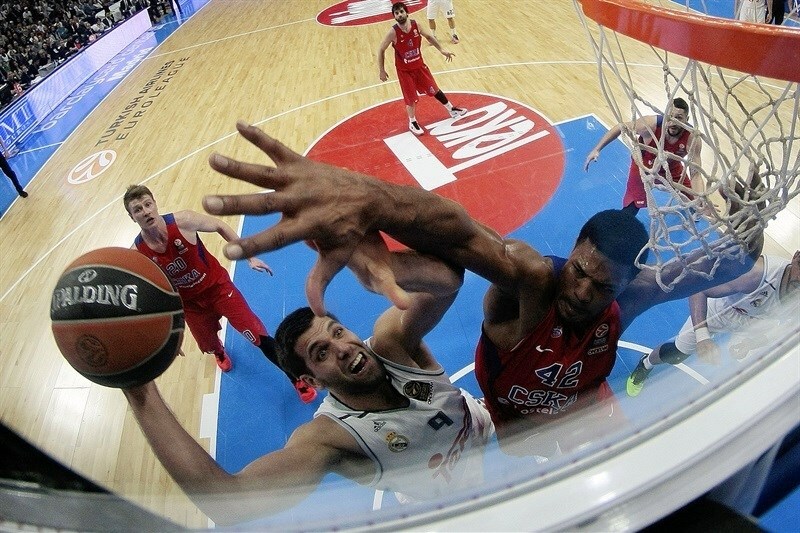 August Lima’s tough finish and foul brought Madrid back. As the game grew physical, Nocioni rejected Hines at one end to start a break that Rivers finished with a triple seconds later. However Hines scored twice more to give the visitors a 23-26 edge. Nocioni blocked another shot and Rodriguez added a finger roll, but Khryapa found Hines for an easy slam. Jeffrey Taylor knocked down a three to tie the game at 28-28. But Higgins split free throws and Teodosic nailed a triple to put the visitors in front. 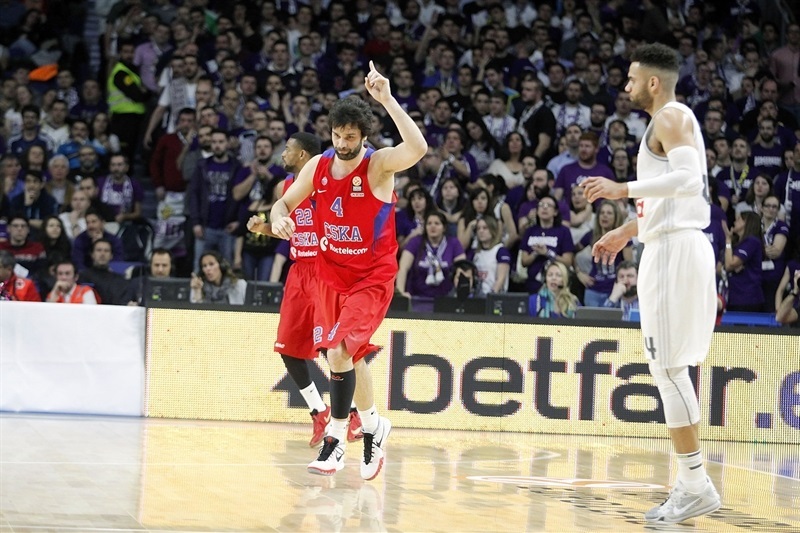 Teodosic found Fridzon for an alley-oop layup and a 6-point lead, which prompted Madrid to call timeout. Taylor dunked on the fast break. 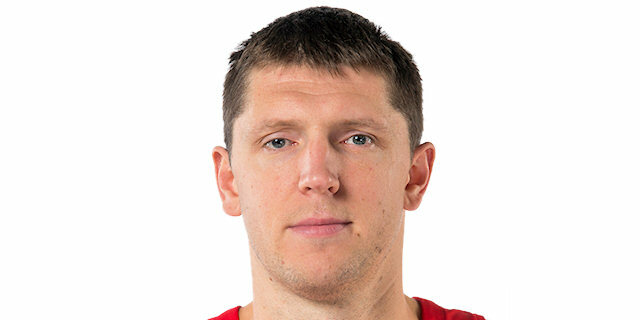 After some great CSKA passing, Khryapa beat the 24-second clock with a hook shot. Fridzon took advantage of an offensive foul by Reyes with a three-pointer. Ayon scored inside and drew a foul. He missed the free throws, but Reyes got the rebound, drew a foul and sank the resulting 2 shots. Teodosic and Llull traded threes to end the half at 37-42. Reyes’s basket-plus-foul sent Freeland to the bench with 4 fouls in the first minute of the second half. Hines and Ayon traded baskets inside and then Vorontsevich and Jaycee Carroll each made threes. Kurbanov drove for a layup and foul. A second three by Carroll brought the Madrid fans to their feet. After Kurabanov found Hines for a ferocious slam over Ayon, Hines was called for an unsportsmanlike foul and a technical foul, which led to free throws by Ayon and Carroll. Then Reyes capped a 6-point possession to tie the game at 52-52. 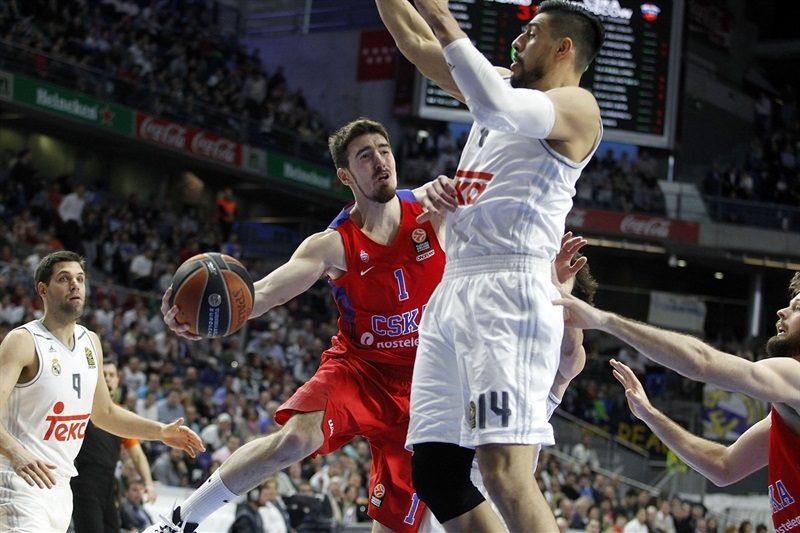 De Colo stepped up with a three – his first points – to put CSKA back ahead. Llull converted a tough layup and De Colo countered with free throws. It was a 1-point game after Reyes sank free throws, but soon Hines and Teodosic made foul shots, too. Then Rodriguez netted a pair for the line to make it 58-60 with two minutes left in the quarter. After Khryapa split free throws, Llull used a burst of speed to get a layup. Higgins nailed a three, but Rodriguez’s tough layup made it 62-64. Teodosic and Rodriguez traded threes before Teodosic added a layup. Fridzon’s offensive rebound led to 2 free throws and a 65-71 lead. But Teodosic was called for an unsportsmanlike foul on Nocioni, who made the resulting free throws. Then Ayon added a foul shot. 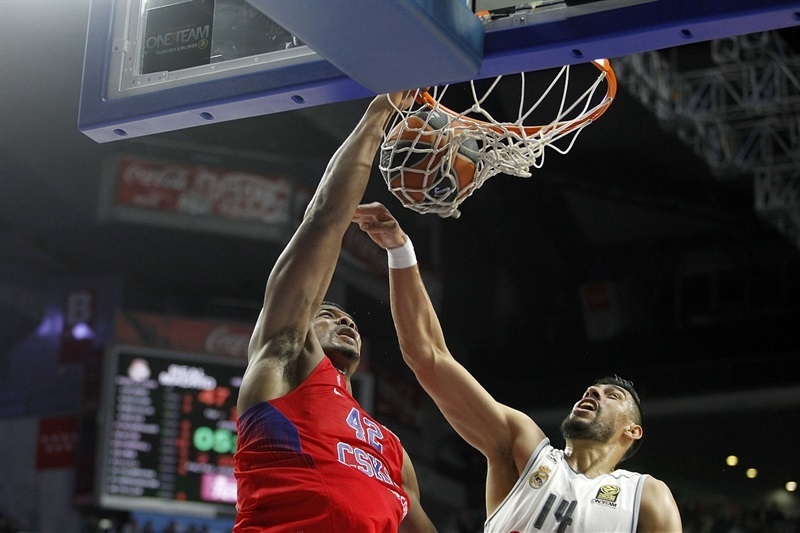 But Fridzon buried a three at the other end and De Colo followed suit to give CSKA a 9-point lead. After a Madrid timeout, Higgins made CSKA’s third three in a row. Rodriguez tried to rescue Los Blancos with a three, but Fridzon stole a Rodriguez pass and nailed another three in transition for a 71-83 lead. 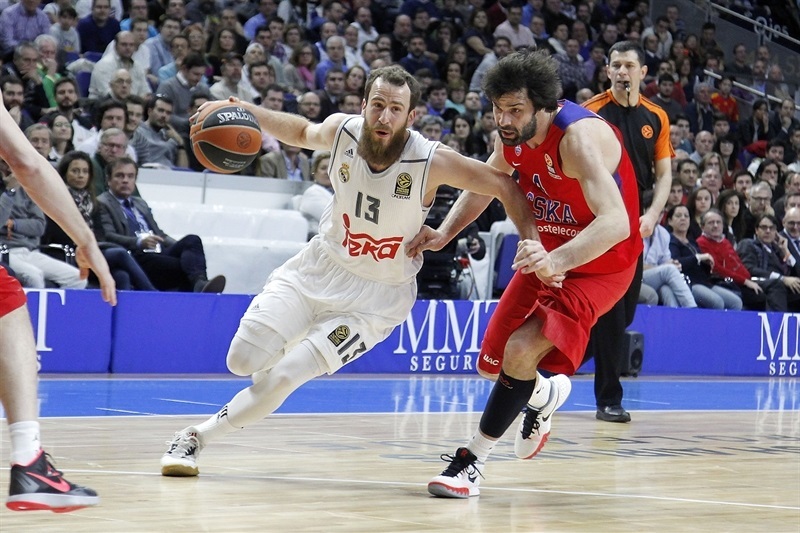 Llull hit a tough jumper, but Madrid could not get any traction. Teodosic extended the lead to 13 when he made 3 free throws. 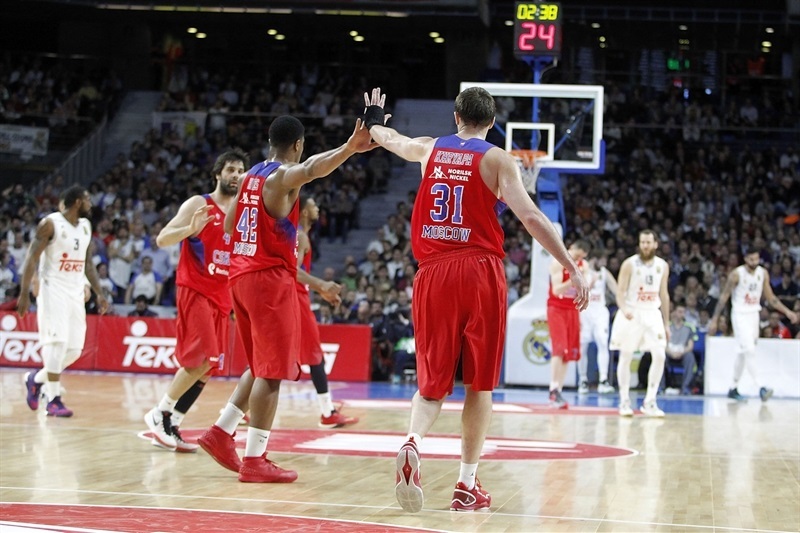 A tip-in by Ayon and floater by Carroll gave the Madrid fans hope. 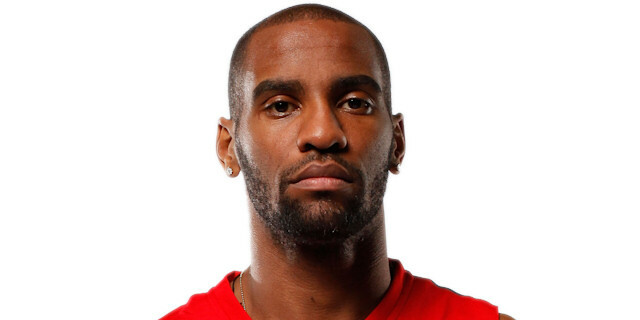 However Freeland’s basket with two minutes left all but secured a CSKA win. Free throws by Ayon and Reyes were matched by a De Colo layup. Madrid refused to lay down and after baskets by Taylor and Reyes, an Ayon steal and Llull basket made it 85-90 with 47 seconds left. Khryapa split free throws, but after a Madrid timeout, Carroll missed a three and De Colo sank free throws with 33 seconds remaining. A three-point play by Khryapa was the finishing touch as CSKA left the court with another big win. "They were more steady than us. We had solid moments, but I don't think we had a great game, in general terms. I believe that we lacked the solidity that you need when you play against a great team. They did well in key moments in which they got small advantages, especially in the second and fourth quarters. If you go down straight to the numbers, the difference in three-point and free throw shooting percentages marks the game. Reading the game like that would be simple, but it is true that our shooting percentages limited us tonight. 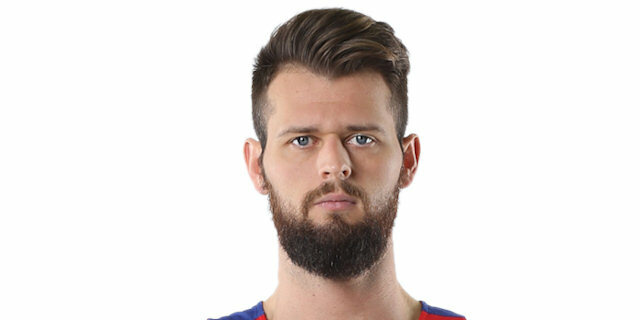 We have to give credit to CSKA, which had a great game. We were not able to be solid 40 minutes and they took an important win in this group. As I say every day, it is a tough, balanced group. We are sad and a little bit disappointed after this loss, but know there are five games left and everything seems to change in this group, every day. We have to keep working and think about the next game which, I am sure, will be as difficult as this one." "We got another victory in such a competitive, tough Top 16 group. As I told my players, this is another day at work for us. We did good things during the game, but especially, we went to halftime with only 2 turnovers. We had the ball and proved that this CSKA team can score, regardless what we play offensively. We can use screen balls, cuts, post game or whatever. It was a team victory and this is the way we have to move on against such a competitive, great team. I would like to congratulate Madrid for their performance and the Copa del Rey title, and its fans, because it was a great atmosphere and they do know basketball. It was a physical game, both teams played a high physical level and the winner today was basketball. Great teams, great players, and fans who watched on TV liked the game." "We knew it was going to be a tough game. It is a Euroleague game, so we knew about it. It is always important to get as much of an advantage as we can and we should have made free throws at a higher percentage. Sometimes shots don't go in and even with that, we were right there, with a chance to win against a good team. We are looking forward to the next games. We have to forget about this loss and think about the next game against Zalgiris. They are a tough team and we must play hard to win in Kaunas." "CSKA was more solid than us tonight. They were calmer in the final minutes, hit the shots that they needed to hit and played great defense. We had a good start, then played a bit worse and unfortunately, we couldn't get a win, which would have been really useful for us. It is still a long Top 16, we have to carry on. There are a lot of games left. We have to bounce back and think about the next game. We are in a tough situation, as we have to play very difficult games on the road. We have to take one game at a time, knowing that every win will be really important." "It is always very difficult to play against a team like Real Madrid, but we were able to play together in our bad moments. They also played a very good game, but we were more mature to win the game. We are not thinking about the future. What is great about this team is we only think about the next game. If you think ahead of that, it is very difficult to get to do what we want to do. We are only thinking of the next game, that's it." "This is a really good win. We watched a lot of film, we were prepared. We are first in our group and wanted to come here and win on the road. I think we have a good chance to be in the playoffs, but we have to take care of the rest of our games. We shared the ball really well and didn't have many turnovers. We didn't make many mistakes that led by easy baskets. They are a good team when they get in transition, but we slowed them down." "The game was difficult and hard to play with the Madrid fans helping them. But it was good basketball. It's always tough to play here. Last year, they won the title, so there's more pressure on them. But the team is great and we had two great teams against each other. So it was good basketball."